In this review of Passive Income Bot you will find proofs that it is a scam. It is presented by Carl Razinski. 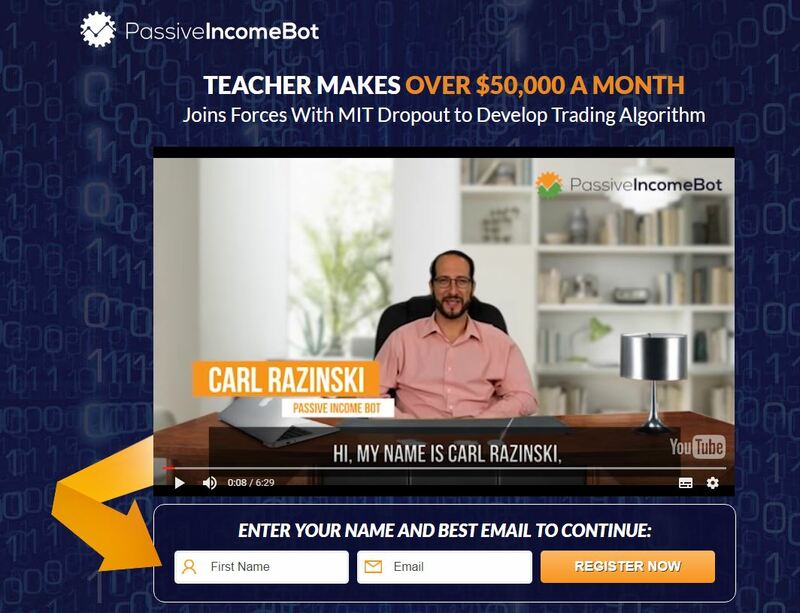 Razinski says that he is the inventor and creator of the Passive Income Bot, which is a software for trading binary options. This app allegedly has an 85% win ratio, which would mean big profits. End of course because becoming rich is free nowadays, you can get the Passive Income Bot for free. Razinski is just a scam artist. Or rather a fictitious character played by an actor. Everything you hear from him is lies. On the Passive Income Bot website you can see four videos with testimonials. People are claiming to be making money with this program. But they are all fake. All the testimonials were made with paid actors. Look at the example on the right, anybody can hire this guy for 5 bucks on Fiverr. So these people are not real users of this robot. We had a look at the robot that is supposed to be an unique app created by Razinski. But there is nothing unique about it whatsoever, it is the White Label Robot rebranded to Passive Income Bot. Anybody can buy this white label software and scammers do it very often. Look at the picture to see some other scams that use this exact same app, like Binary Auto Trader or Xpertsignal. This software is very dangerous, because it has a demo that fakes results, we have proved that many times in our previous reviews. So on the demo you will see great profits that will make you believe that it really works. But if you open a real account and deposit money, the Passive Income Bot will lose your money in trading, because real trades cannot be faked. 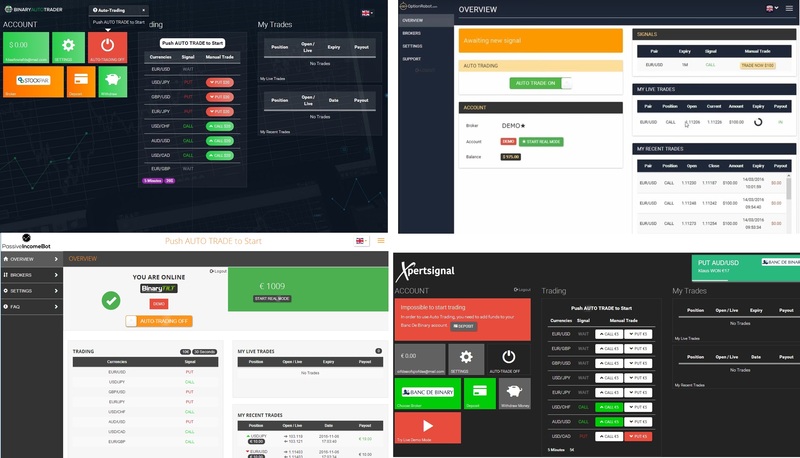 On the first image you can see that on the demo it is showing trades on a Sunday, but markets are closed on weekends, so these are fake results. By the way Razinski admit it himself under the so called live feed on his website (second image), but it doesn’t stop him to fool you with fake results from weekend trades. How can he show some testing results that must be fictional as markets are closed on weekends?! The reality is that people who are behind Passive Income Bot are affiliated with some brokers that are paying them for referring new depositing clients. So these scammers need you to open an account and deposit through their software with one of their brokers, this is how they make money. By the time you realise that the robot is losing money in real trading, it will be too late, they will already have their affiliate commission. Passive Income Bot is a dangerous scam that is misleading people with a demo that fakes results. In real trading it loses money! If you want to really try binary options to see how you can make money, do it on a free demo with a regulated broker. On the demo you have to learn how to trade profitably, only then you can start investing real money. Roman and Mike are behind this, fu*king as*holes, piece of sh*t scam software. So did you try the software? Yes. It is faking demo results.